Alleged Xiaomi Blackshark Skywalker spotted at Geekbench! Home / mobile / news / xiaomi / Alleged Xiaomi Blackshark Skywalker spotted at Geekbench! 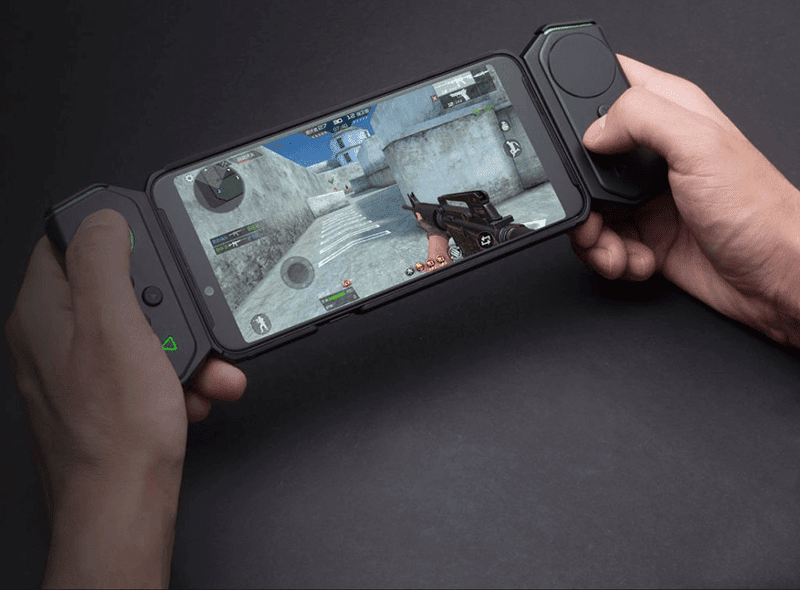 Xiaomi shocked the industry when it entered the mobile phone gaming market with the Blackshark in 2018. The alleged successor appeared in Geekench! 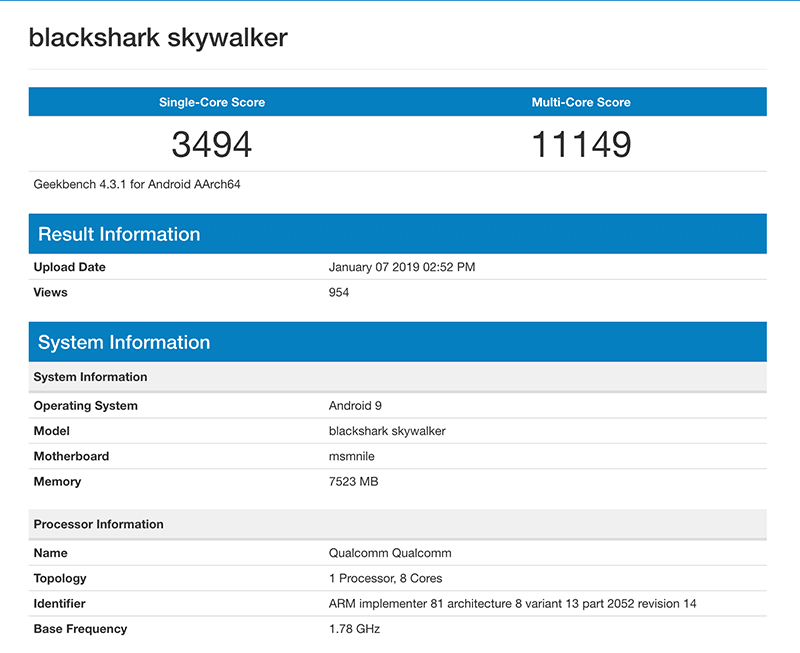 The alleged successor is called the Blackshark Skywalker in the GeekBench score results page that was released in January 7, 2019. It scored 3,494 for the single-core tests and scored 11,149 for the multi-core test. For comparison, the iPhone XS scored 4,831 and 11,525 respectively. This means that the upcoming phone can rival the iPhone XS in terms of the multi-core tasks. GeekBench also shows that the phone is running on Android 9.0 Pie, a 1.78GHz Octa-core Qualcomm processor and 8GB RAM! Take this with a grain of salt as not all devices that appear in Geekbench end up in shelves but this could also be true given that the original Blackshark was released in the early months of 2019. There is no official announcement yet but rest assured that we will report it as soon as the information is available! What do you think? Do you think it is credible? If so, will you be getting one?